A New Class of Development Platform that is designed to meet current RF & Wireless challenges for Education, Research & Industry. Wireless Modular Development & Verification platform is designed specifically to bring about speed and flexibility to FPGA & System Designers, allowing you to test your RF design without draining your time & resources integrating and troubleshooting RF boards. Focus on your design code while the Platform takes care of Synchronization, LO Control, data communication and all other ancillary functions. Works out of the box. No time is wasted on setup integration, testbed creation or codes re-design. Build your system with readymade modules for Signal Generation and Vector Modulation, Signal Reception & Vector Demodulation, LO Generation and distribution, Onboard DSP (ARM & x86), Baseband Signal Processing FPGA and more. Modules are all Plug & Play and communicate together on the platform data bus allowing you to build complex and high channel count designs with speed and ease. A truly modular architecture replaces conventional boards with the versatility required for innovation in SDR (Software Defined Radio), Cognitive Radio, 2x2MIMO, 4x4MIMO, 8x8MIMO, Massive MIMO and Multi-Channel applications. Modules or even entire units can be stacked and aggregated for large scale designs and easily connected to your PC for control, data I/O or as hardware in the loop for simulation. C700 goes all the way to help you focus on your job. 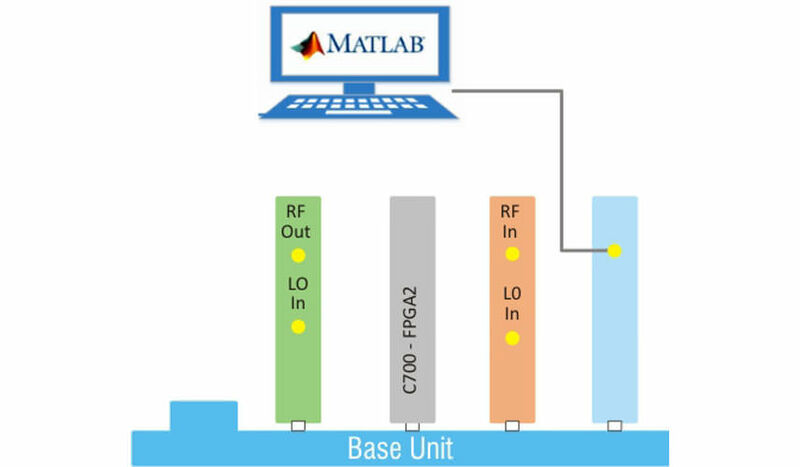 The system can be fully programmed & controlled right from your design tool or system level simulation environment of choice (Matlab®, LabView®, GNU Radio… etc.) in addition to a multitude of programming languages (VHDL, C and many others). This allows reusing the same testbed during the design and prototyping phases completely eliminating inconsistency and guaranteeing a streamlined testing procedure though out the project lifecycle. No need to create new complex and expensive testbed for your prototype. Design engineers can easily move back and forth testing the code and the actual prototype side by side greatly accelerating debugging and design iteration. The firmware natively supports programming the FPGA with custom HDL code through direct JTAG access. This allows developers to use separate design environments for HDL development and for system level testing simultaneously and independently. Platform gives developers the ability of generating complex baseband I/Q signals through VHDL programming of its fully configurable FPGA blocks then Vector Modulate them to an RF Carrier up to 6 GHz. Similarly for the receive chains HDL Developers can easily implement system functions inside the FPGA and (optionally) use the connected PC for pre/post processing. Replace expensive and complicated measurement benches with testing tools that are fully integrated with your testbed and design environment. This allows the user to completely model the system under test on the Wireless platform. The Firmware is designed to take minimal FPGA resources freeing up all the logic and fabric for the user code. Direct JTAG access to the FPGA gives the user the unique opportunity to develop and debug using any software tool of their choice without any limitations imposed by the platform. Need high RF Power? Better Sensitivity? Developing for a specific FPGA chip? The customization services are intended for developers who want to tailor their development platform to their applications and move from development to deployment in one smooth step. RF modules can be fit with a wide selection of FPGA & SoC chips from Altera® & Xilinx® for maximum versatility. 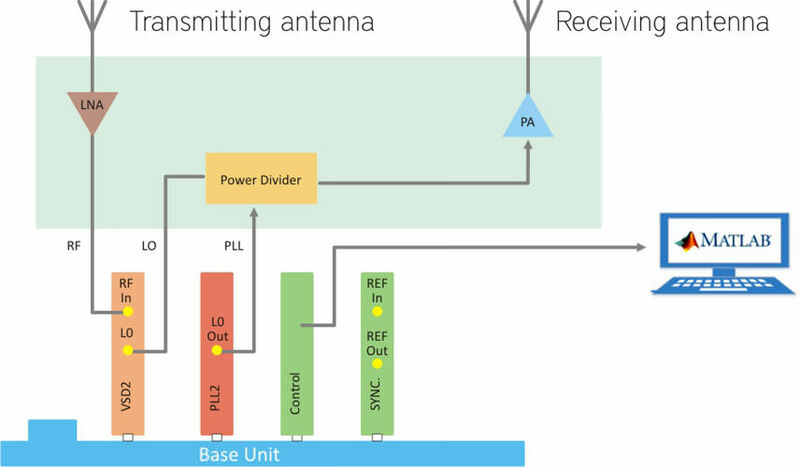 Moreover, different RF front-ends and entire RF subsystems can be incorporated (or custom designed) within the module in order to best match it to your target system. This is a unique feature to the platform that eliminates any inconsistency arising from hardware change. Developing on the platform gives you exclusive access to our IP design team. Benefit from our years of experience creating IPs for Wireless Digital Communications, DSP, Military Communications, Electronic Warfare as well as Aerospace & Defense Applications. Our IP design team can actively contribute to your design building HDL & Embedded blocks as per your requirement or help you during the prototyping & testing phases creating custom test beds or ancillary system blocks to test your design end-to-end. Bring your code to life with our Prototyping services to transform your design into a standalone prototype with all the required logic, chips and RF modules integrated into a single professionally designed PCB that will be manufactured, tested and delivered right to your doorstep complete with packaging and UI/UX development services designed to best showcase your work. 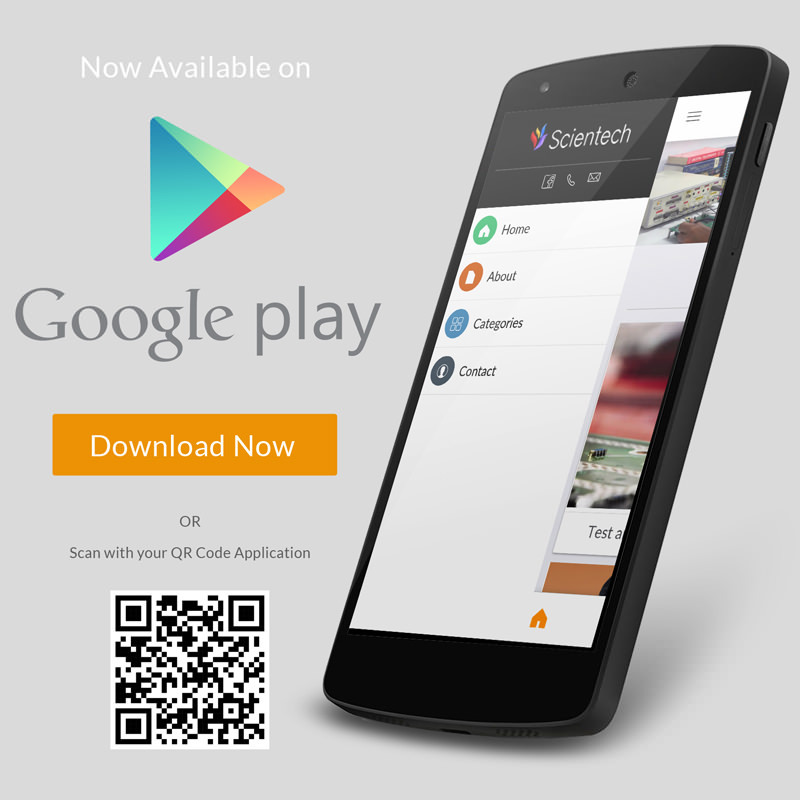 We appreciate your interest in Scientech. Please fill in the form below and we'll get in touch with you as soon as possible. In this setup, two C700 systems will be employed to build a 4x4 MIMO Transmitter and Receiver stations with a 40 MHz real time bandwidth. Beside a lot of other applications, the platform can be defined as a scalable MIMO system with a common clock and shared local oscillator to fulfill phase coherence requirements. 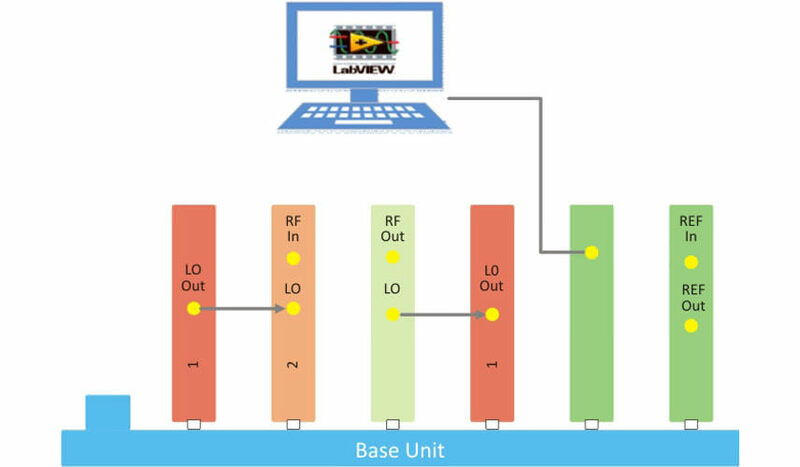 The system can be configured to investigate the performance of MIMO algorithms and channel models and it is easily upgradeable to higher order of channels. A fast sweep FMCW Testbed based on the C700 platform which allows a fast sweep rates up to 1GHz per milliseconds and supporting simple configurations as well as switched-beam antennas setup for range measurements and position tracking. The main system configuration (described in figure 1 below) supports full FMCW functionalities in a frequency range from 4 to 6GHz. Besides, it can be controlled as a fast sweep generator employed in a bigger system from 4GHz to 18GHz. The C700 based Testbed constitutes the main blocks of a real FMCW system such as Waveform generator, VCO (PLL modules), Mixer, Filters, ADC, and Processing. Figure 2 – describes a generic block diagram of an FMCW Radar highlighting such blocks within the FMCW system structure.